...there is a chance of overnight tornadoes. 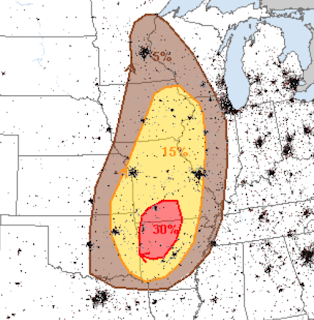 Here is the SPC map of probabilities. If you live in the 30% (red) area, please be prepared for the potential for tornadoes tomorrow (Monday night-Tuesday morning). I'll update tomorrow morning and again tomorrow afternoon (at minimum).